A new garage door can drastically improve the curb appeal of your home, but you need an experienced overhead door company to guarantee you receive the best price and service. 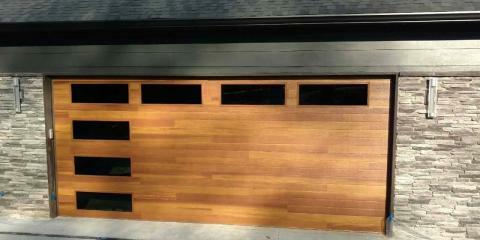 MAC Garage Door Company, Inc. in Lexington, NC, offers the finest products at prices that won’t break the bank. For more than 40 years, residential and commercial clients throughout Davidson and Forsyth counties have put their trust in the quality and dependability of MAC Garage Door Company. This family owned and operated company employs a skilled team that is dedicated to installing your new garage doors quickly and efficiently. They offer a wide selection of durable products and will work with you to create a custom garage door design with a unique color, style, and decorative hardware combination. They utilize industry-leading door openers from LiftMaster® to ensure safety and security. Their garage door specialists will have your door up and running fast with repair and maintenance services for both commercial and residential garage doors. Commercial clients can count on their team to have products that can withstand the chronic daily operation of a normal workday. Take advantage of their insulated and non-insulated overhead doors that are expertly crafted to perform in the harshest industrial environments. Don’t forget to also schedule routine maintenance to prolong the lifespan of your new overhead doors. For a professional and proven garage door company, reach out to the friendly folks at MAC Garage Door Company. Call them today at (336) 731-7849 to schedule a free estimate and consultation or visit them online for more information.